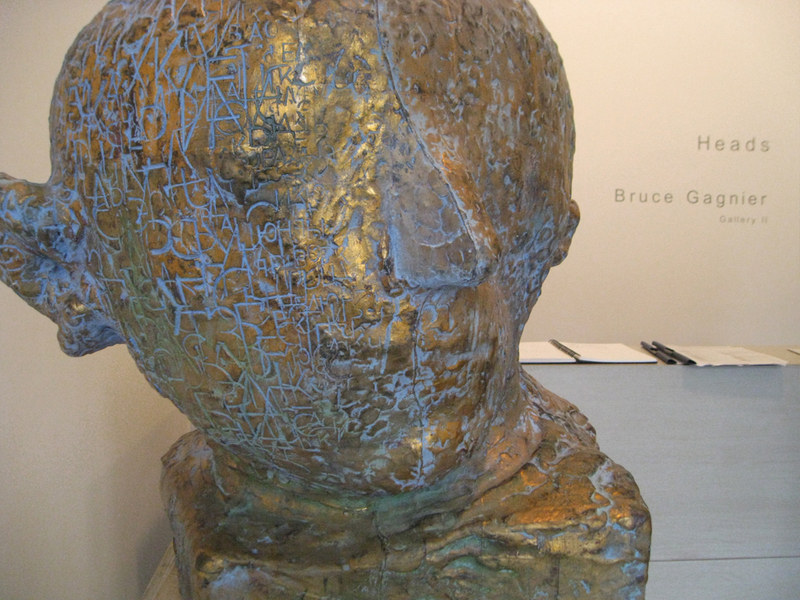 NEW YORK—Personality abounds at Lori Bookstein Fine Art. The gallery has curated an engaging group show unified by its theme: Heads. It’s as though someone asked what three people living or dead would you like to spend time with and they all met you at Lori Bookstein one afternoon in portrait or bust form. Whether clad in leather (“RO (Head),” by Nancy Grossman, above) or executed in light strokes of periwinkle blue (“Painting with Music” by Elena Sisto), it’s quite a crowd. 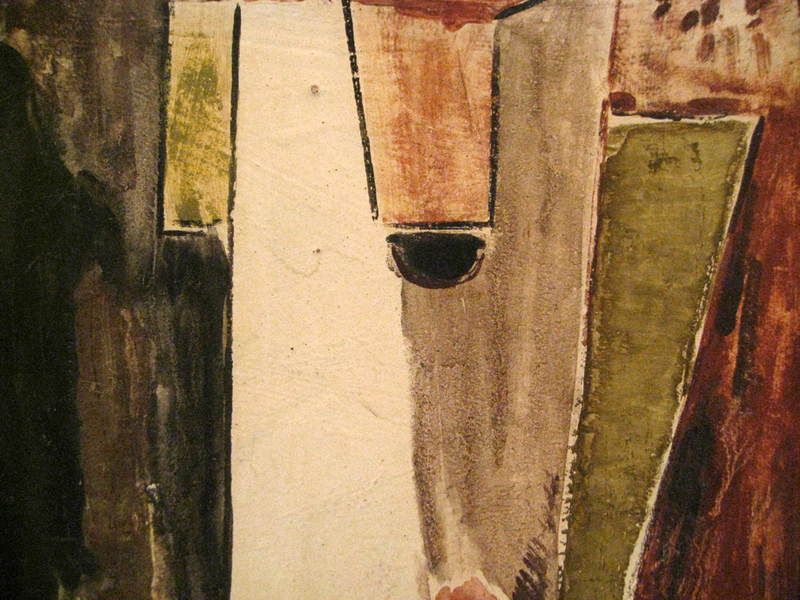 Exhibited in one large, white walled room, the contributions from various artists are presented as a group, but patrons can easily focus on one piece or compare and contrast the work. The collection bridges eras, genres and mediums. The sculptures are particularly engaging. 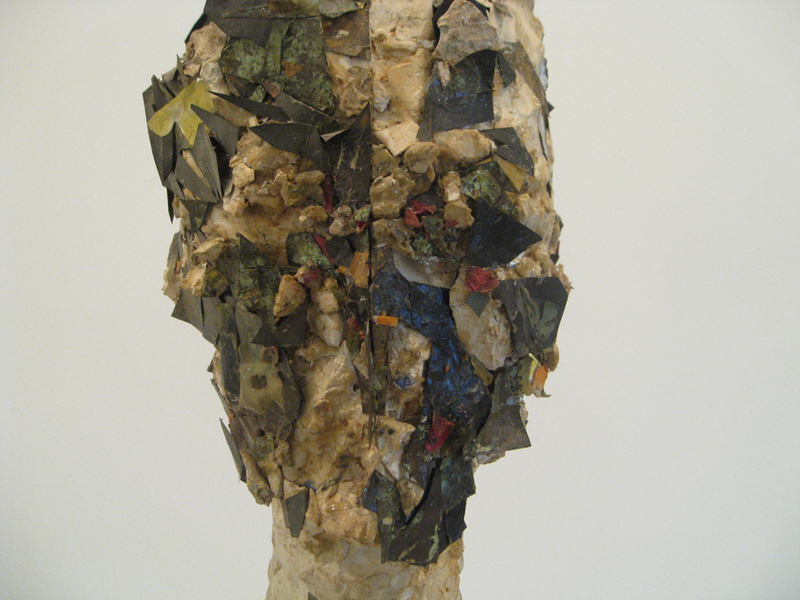 “Heads” is on view at Lori Bookstein Fine Art from Jan. 19 to Feb. 18, 2012. 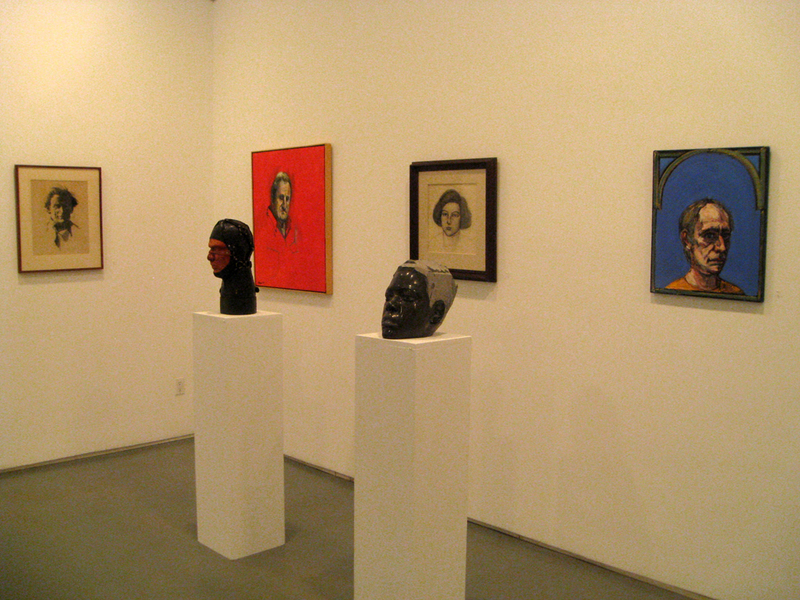 Above, The show features nearly 50 “Heads” executed by various artists across a range of decades. 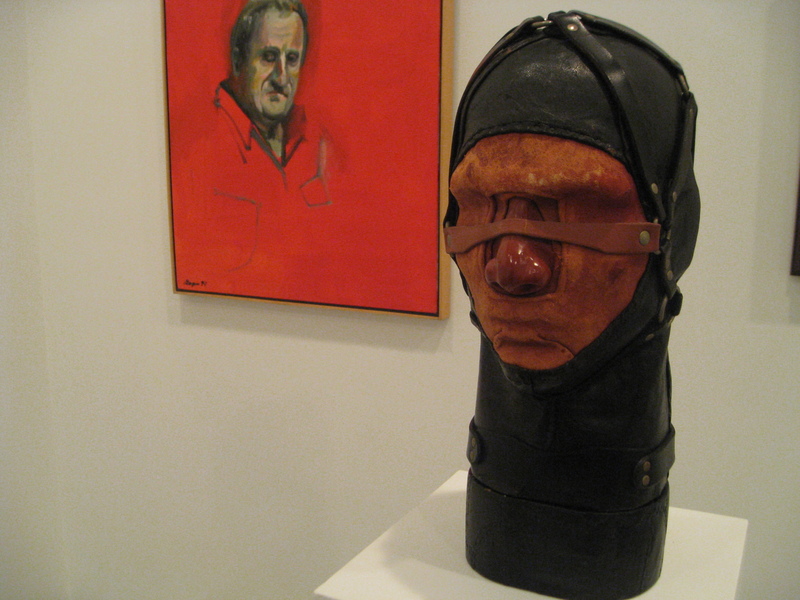 Top of page, “RO (Head)” 1968 (leather over wood with epoxy nose) by Nancy Grossman. 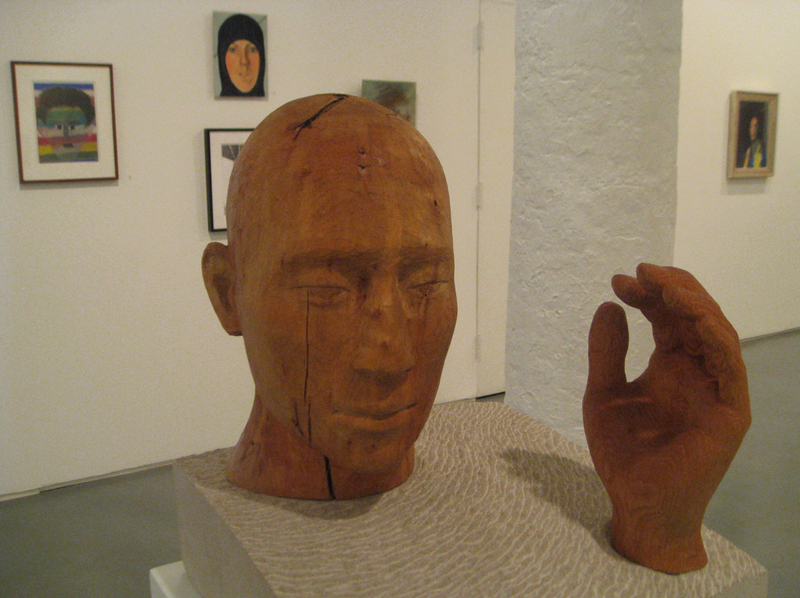 Both sculpture and paintings are included in the show. 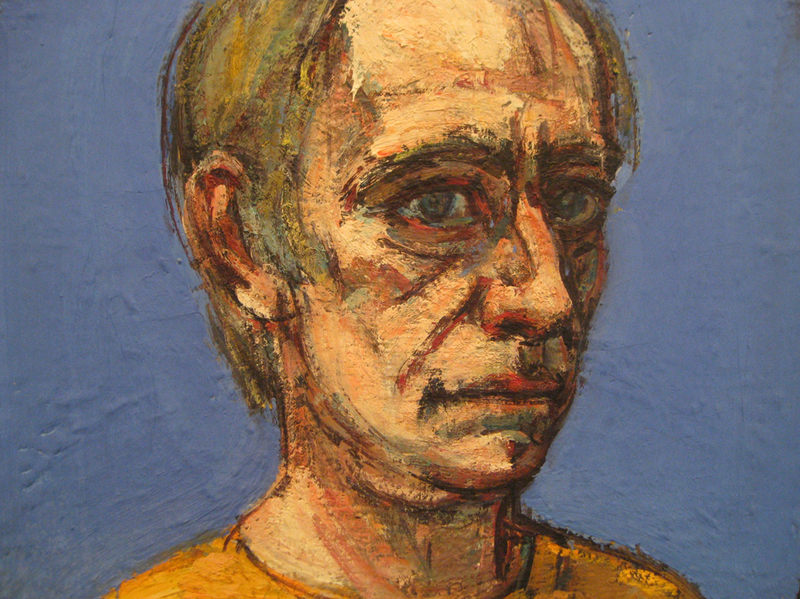 “Self-Portrait,” circa 1980 (oil on canvas) by Peter Heinemann. 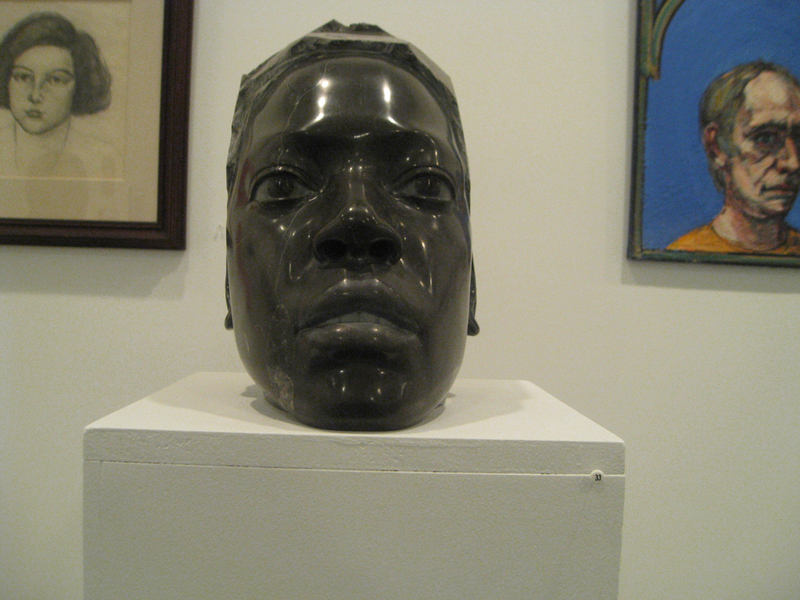 “Portrait,” 2011 (black marble) by Sequoyah Aono. 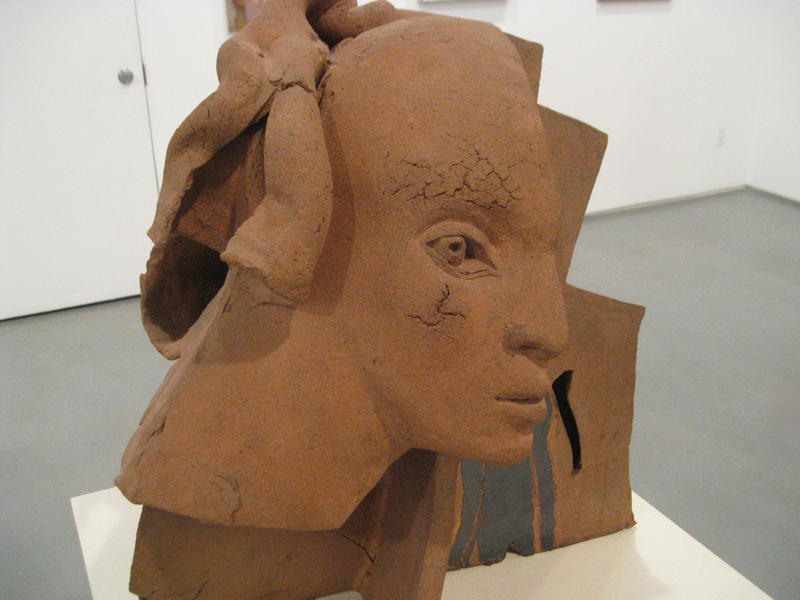 “Night Head,” 1971 (stoneware and oxide) by Mary Frank. 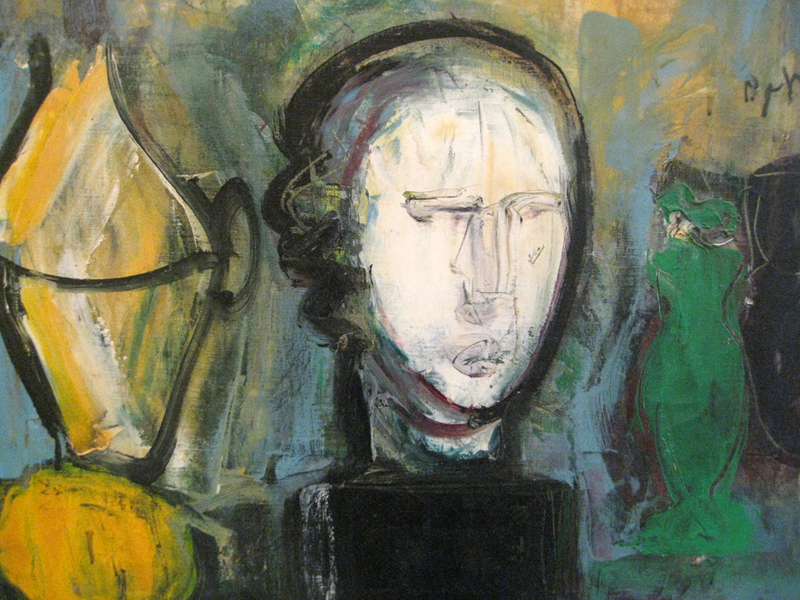 Detail of “Still Life with Greek Head,” 1951 (oil on canvas) by Robert De Niro Sr. (the Oscar-winning actor’s father). 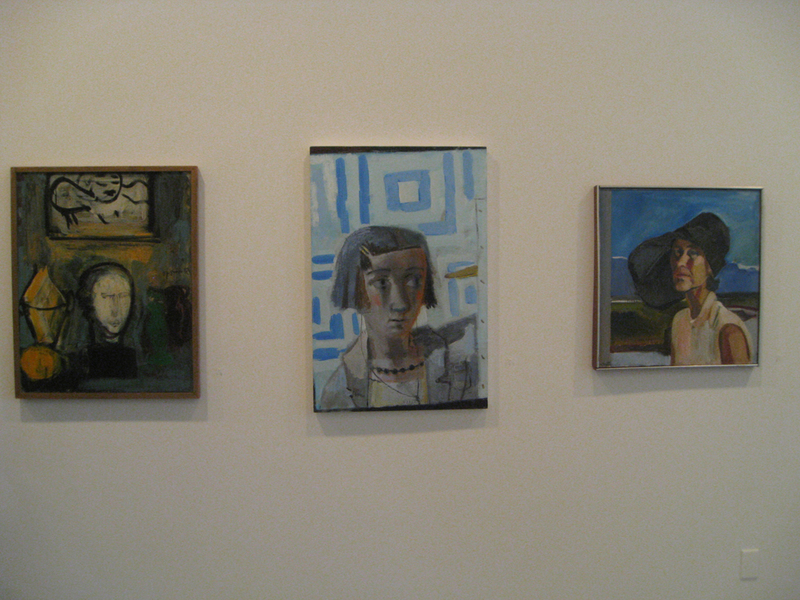 From left, “Still Life with Greek Head”; “Painting with Music,” 2010 (oil on linen) by Elena Sisto; “Self-Portrait with Islandic Landscape,” 1970 (oil on canvas) by Louisa Matthíasdóttir. 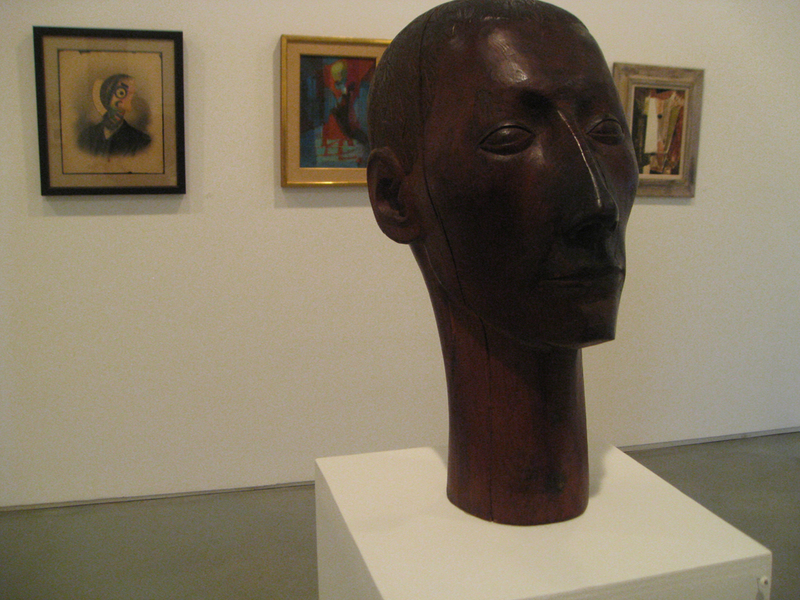 “Head with Big Nose,” 2009 (wood) by Jonathan Shahn.  “It Comes From a Deep Spot,” 2005 (wood, oak, limestone) by Daisuke Kiyomiya. 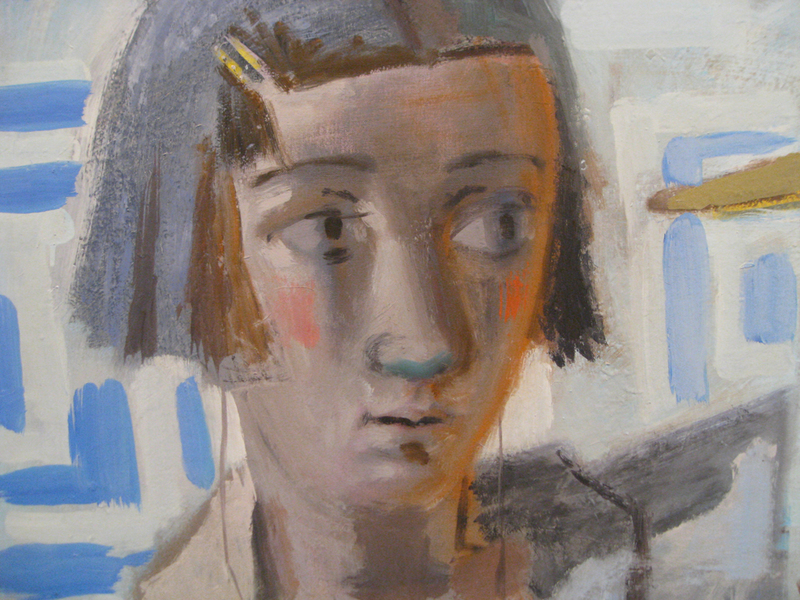 Untitled (Head) c. 1930-32 (oil on gesso board) by Alfred H. Maurer. “Untitled,” circa 1976 (plaster and mixed media) by Jonathan Silver. 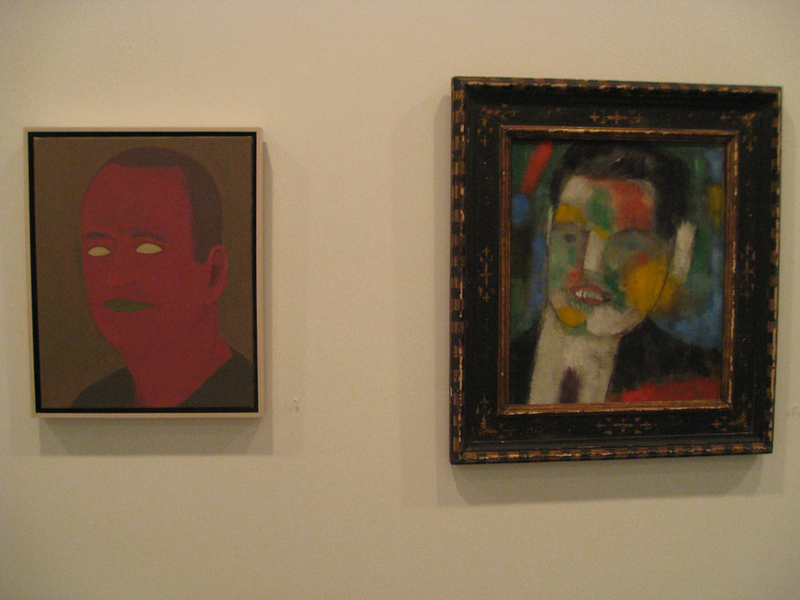 Left, “Lad of Athens,” 2006 (oil on canvas) by Victor Pesce. 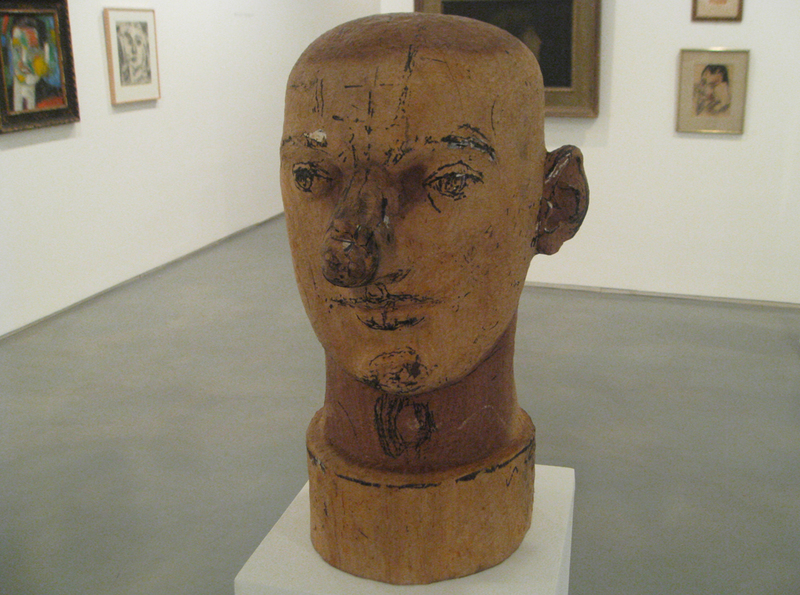 “Jerome,” 1955 (cedar) by Louise Kruger.